Forces War Records are offering free access to some of their records until 31 May. Donna Maguire, archivist and records manager to the Bishops Conference of Scotland, is giving a talk on ‘The pre-1855 Parish Registers of the Roman Catholic Church'. The talk takes place at the Corn Exchange and Ormiston Institute, Market Square, Melrose, TD6 9PN at 2.30pm on Sunday, 29th May. Map. The talk will be preceded by our Annual General Meeting but that's usually over quickly. I’m eagerly looking forward to this talk. 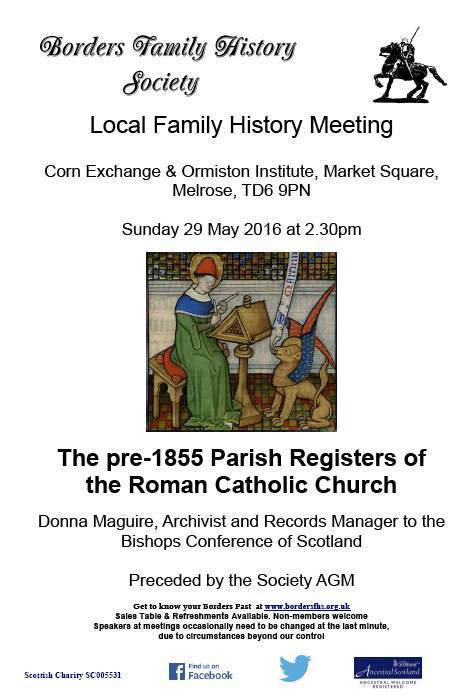 Donna is going to tell us about the Catholic registers for parishes that were founded before 1855, the six Scottish dioceses and the records of the Bishops Conference of Scotland and its agencies. You may attend the talk and the AGM whether you are a member or not. Doors open at 2pm; the AGM begins at 2.30pm. Knowing how to find Catholic records is vital in family history, even if you think you have no Catholics in your family, you may be wrong, as I was, especially if you can’t find the birth of one or more your ancestors. I suggest you come early to get a good seat. We'll have a range of family history publications available to buy, and there’ll be light refreshments (donation expected) available after the talk. The talk was previously advertised for last October but did not take place then due to illness. Was there a Red Cross Volunteer in Your Family ? The Red Cross have now made their World War I collection of records partly available with an index of World War I volunteers. At the outbreak of war in 1914, the Red Cross formed a Joint War Committee with the Order of St John, raised funds, organised volunteers and paid staff to provide equipment and services in the UK and the theatres of war. Everyone was trained in first aid, some trained in nursing, cookery, hygiene and sanitation. Most of the women became nurses, initially in hospitals in Britain, but as the casualties mounted, more were sent overseas to casualty stations on or near the battlefield or to hospitals. Many people offered their houses as convalescent homes for the wounded or as auxiliary hospitals; some town halls and primary schools were used too. There were over 3,000 auxiliary hospitals across the UK. They were staffed by a commandant, a quartermaster, a matron, a cook and nurses. Local GPs often volunteered for work in the hospitals in addition to their ordinary work. The nurses were all volunteers, often they were too young or old or had family commitments to serve full-time. Male volunteers usually drove or accompanied the ill or wounded to and from hospitals, many acted as stretcher-bearers, a lot were sent to France as ambulance drivers, some being wounded in enemy action. Volunteers also collected clothing and books for soldiers in hospitals, raised funds, made bandages and splints, acted as cooks, store-keepers, worked in the offices and just as importantly, provided food and cigarettes to soldiers arriving by ambulance train. One of my great-aunts married a soldier she met on such duty. A lot of people were displaced by the war, in 1915, volunteers started visiting hospitals looking for people who had been recorded as missing; work that the Red Cross is still involved in. By the end of the war in 1918, 90,000 volunteers had worked in the UK or abroad. There were lots of famous volunteers including Agatha Christie and Vera Brittain, perhaps some of your family were volunteers. To find out, use the index of World War I Red Cross volunteers..
You can search by forename, surname, location or hospital or role. The initial search takes you to a search results page that shows name, county, date of engagement, age when engaged. Clicking on the name takes you to a detailed page about that person. 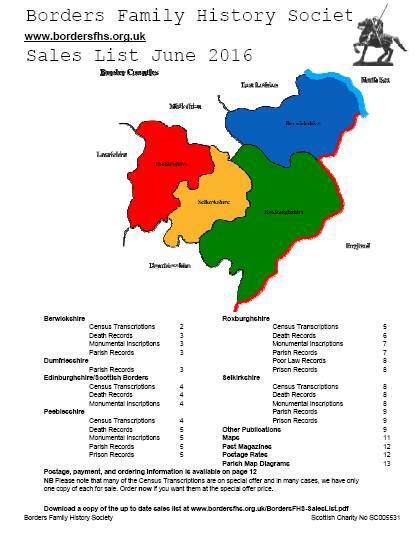 The information provided comes from record cards and may include name, address, age, character, service dates, hospital, rank, pay, duties, commission, honours awarded. Pictures of the cards are also included. Annoyingly, first names weren’t always recorded, some just gave initials.